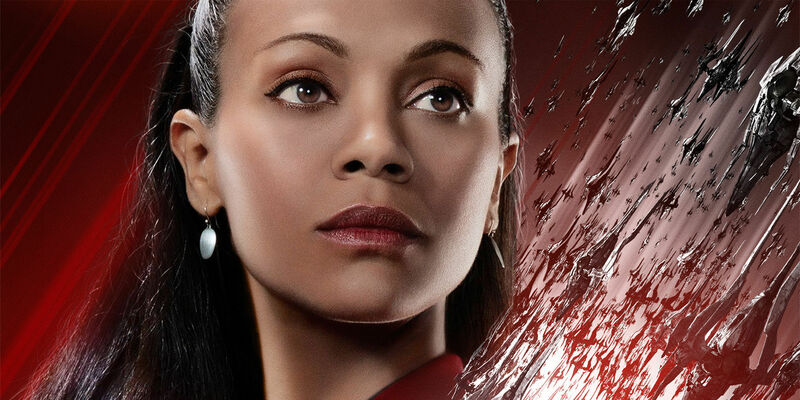 The premiere of the third outing in the rebooted Star Trek movie franchise, Star Trek Beyond, took place yesterday at 2016's San Diego Comic-Con and Screen Rant were lucky enough to score a quick chat with Lieutenant Uhura herself, Zoe Saldana. Saldana of course has the privilege of not only being a core member of the U.S.S. Enterprise but also has an integral role as Gamora in Marvel's Guardian's Of The Galaxy movies and was the motion capture performer behind Neytiri in Avatar, James Cameron's obscenely successful 2009 venture. "To know that I'm a part of something that has lived for fifty years, representing such a strong message of peace and unity, and I feel like that's what we've become, this new family. Honoring not just the ones before us but also honoring what Star Trek really represents, which means a lot." Aside from the clear pride Saldana feels in carrying the Star Trek torch forward, it's obvious that everyone behind the new movies (or the 'Kelvin timeline', to use the canon term) is keen to respect Gene Roddenberry's original creation and vision, something those attached to the movie will be keen to assert given George Takei's recent comments regarding Sulu's homosexuality. "It's a bittersweet event because we're missing a cast member, and we're wearing a black pin in honor of Anton Yelchin, we're here because of him." Of course, Yelchin was tragically killed in a vehicle accident outside his California home in June, the cast's black pins providing a touching tribute to a widely respected actor that was taken from the world far too soon. Aside from Star Trek Beyond, we naturally couldn't let Saldana leave without mentioning the forthcoming Marvel Cinematic Universe entry, Guardians of the Galaxy Vol. 2. The first Guardians film was, unexpectedly to some, a massive hit worldwide and fans will be keen to see how James Gunn's sequel is progressing. According to Zoe, "It's going to be fun. They're not likeable still. They make a lot of mistakes, but hopefully they'll save the day." The news that our favorite band of space-dwelling misfits and their dancing tree-baby still aren't a cohesive, slick crime-fighting unit will come as pleasant news for fans, as the group's sarcasm-fueled tension and dysfunctional nature played a significant part in the first film's excellence and also sets the gang apart from the more 'squeaky-clean' Avengers.